"This is the first time an LTE cell site on a drone has been successfully deployed to connect residents after a disaster." As of November 6, 47.8 percent of cell sites in Puerto Rico remained without connection, in the aftermath of late September’s Hurricane Maria. 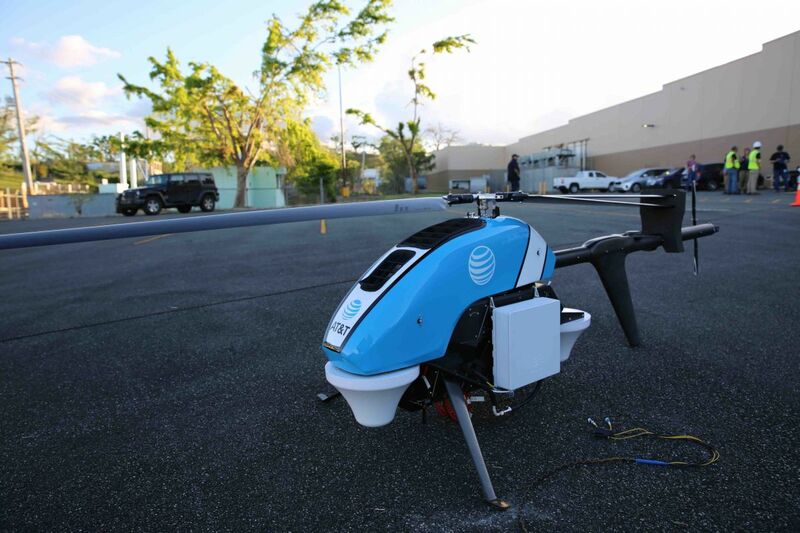 Cellular company AT&T is fighting to reconnect the more than 30 percent of Puerto Ricans without service by sending an LTE-equipped drone, known as the Flying COW (Cell on Wings), to the San Juan area. According to Ars Technica, the drone hovers about 200 feet above the ground and provides wireless connectivity to an area of up to 40 square miles. In a statement on November 7, AT&T said that the drone “can extend coverage farther than other temporary cell sites,” making it well-suited to connecting remote areas. The company told Ars Technica that one Flying COW could provide simultaneous service to up to 8,000 people, depending on the equipment used and the strength of the network. While the Flying COW is currently flying solo, AT&T stated that they are testing more drones to add to the cellular fleet. With drones becoming more affordable, durable, and reliable, AT&T isn’t the only company testing them for temporary cell service. Sprint has reportedly adapted its Magic Box signal-booster to provide drone-based coverage for an area of 10 square miles, aimed at increasing network connections during special events. Verizon is testing out drones to provide cellular service during emergencies, as well as connecting victims and first responders. A tech company called Fenix wants to use cellular drones in the military, primarily to help provide soldiers with connectivity after local infrastructure has been taken out. However, AT&T’s Flying COW is the first urgent deployment, complementing several projects the company has launched to re-connect Puerto Rico. For the time being, it’s also connected portable satellite connections to cell towers until fiber-optic connections can be restored. They’re also collaborating with Alphabet to provide cell service by way of balloon.